Finally starting to make some progress on my 101 in 1001 list . In trying to get the house ready for Grace and Owen's birthday party, we painted several rooms. And since the family room got painted, I made my artwork for the walls. 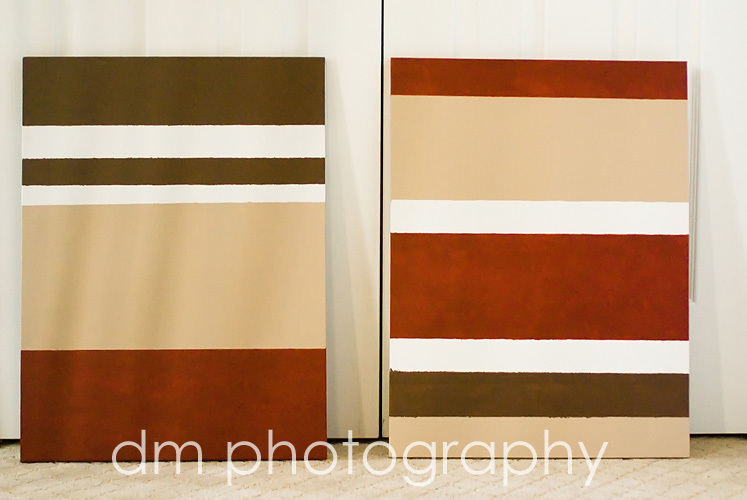 I painted stripes on two canvases. Now, I know it isn't a materpeice, but its a one-of-a-kind peice that compliments our family room perfectly. I love it and can't wait to hang it!